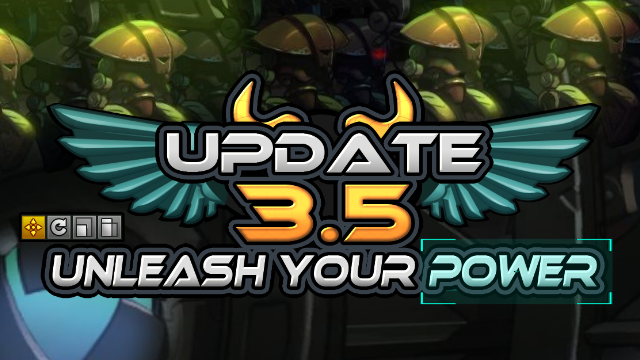 The Awesomenauts 3.5: Unleash your Power Beta is live now! The new ‘Naut, Samuel ‘Deadlift’ Gains has been completely revealed during the Livestreams. His gameplay, skills and voice lines were all shown during several streams. He is now ready to demonstrate his strength! Level editor and Steam workshop integration are live! The level editor is now available in Beta for anyone who owns a copy of Awesomenauts. The level editor has Steam workshop integration which allows you to play levels made by anyone through the Steam workshop. There are easy-to-use options for simple level designs and more advanced features like AIs to make more advanced levels. Try whatever you like and let your mind be free! The custom game browser makes it possible to play with friends and find specific games more easily. This can be combined with the new level editor in order to play different levels and even game modes (for now the Beta only allows you to share maps though). Just make sure the maps are uploaded to the Steam workshop! Skills unlocked from the start! In this Beta patch we are experimenting with unlocking your character’s 2 basic skills right from the start of the game without having to buy them in the store. This is something we want to experiment with and we would like to receive feedback from players on this. The beta is downloaded next to the main game, so you will have both on your computer at once. This means you won’t have to download updates whenever you switch from beta to standard. Select the “DLC” tab and make sure “Awesomenauts – Beta dual-load” is checked. Wait until the beta is downloaded (this can take a while).